20+ Pumpkin Recipes and a Pumpkin Link Party! 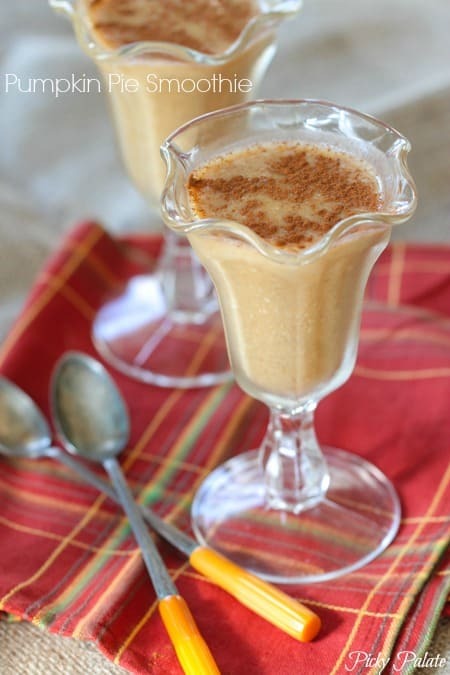 Pumpkin Recipes are all a MUST for Fall. I love pumpkin treats especially! I have rounded up some of my absolute favorites from blogland and the world wide web. 😉 Check these out! You may want to get your PIN finger ready! 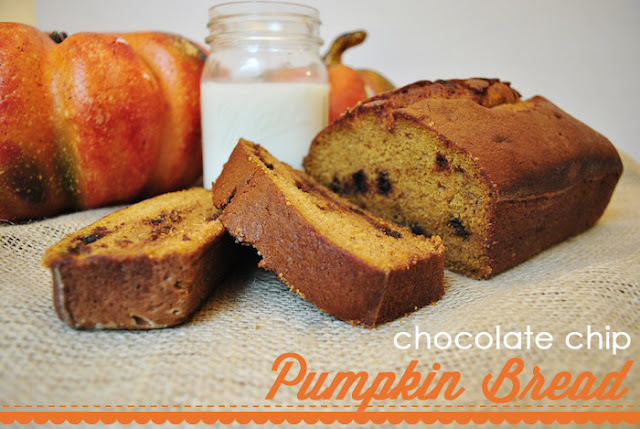 Try my Chocolate Chip Pumpkin Bread Recipe. This is awesome for wanna-be bakers like myself. It’s incredibly soft, flavorful and easy! Best of both worlds! Here’s another one from my super talented sister-in-law! 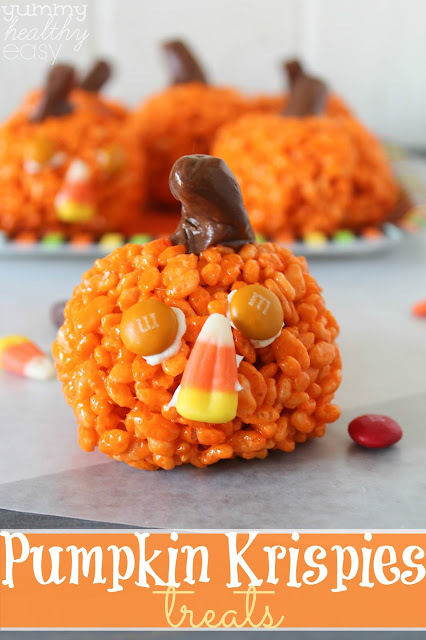 The kids will LOVE these Pumpkin Rice Krispie Treats! 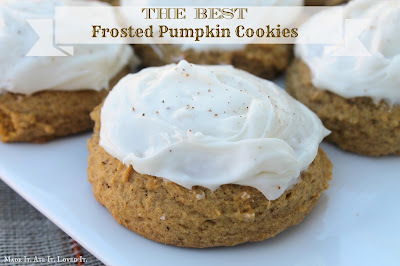 These delicious Frosted Pumpkin Cookies are from Savannah’s super talented sister, Scarlett’s blog, Made it Ate it Loved it. 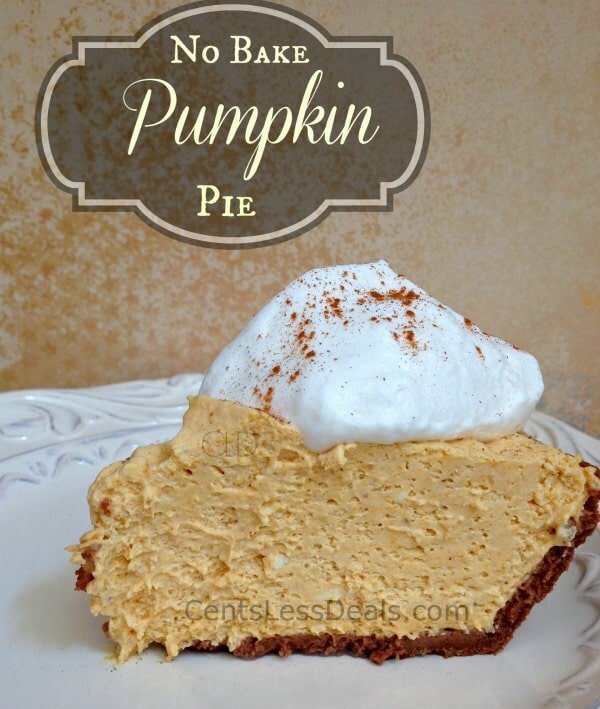 This no-bake pumpkin pie looks super yummy from Centsless Deals. 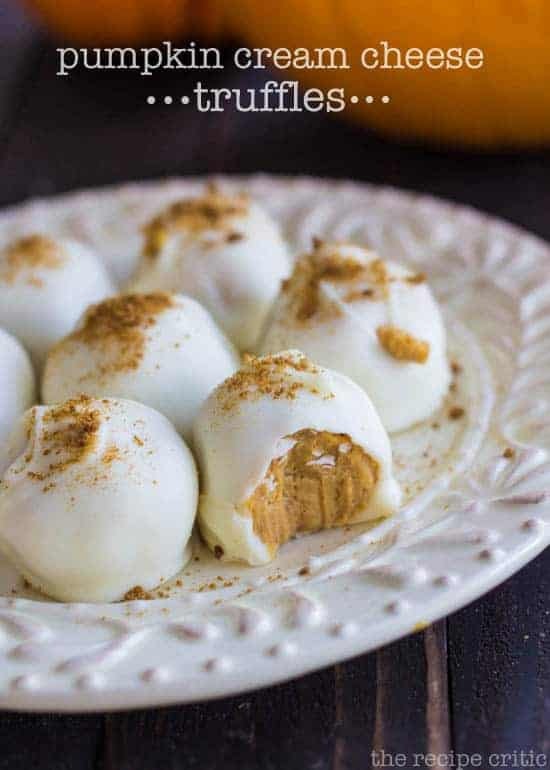 These pumpkin cream cheese truffles from the Recipe Critic look unreal amazing! I love truffles because you can just eat one to get your sweet fix or throw a few in a bowl for a big dessert! These are a must try for sure. Nutty-Caramel Pumpkin bars! WOW! Those look and sound delicious don’t they? 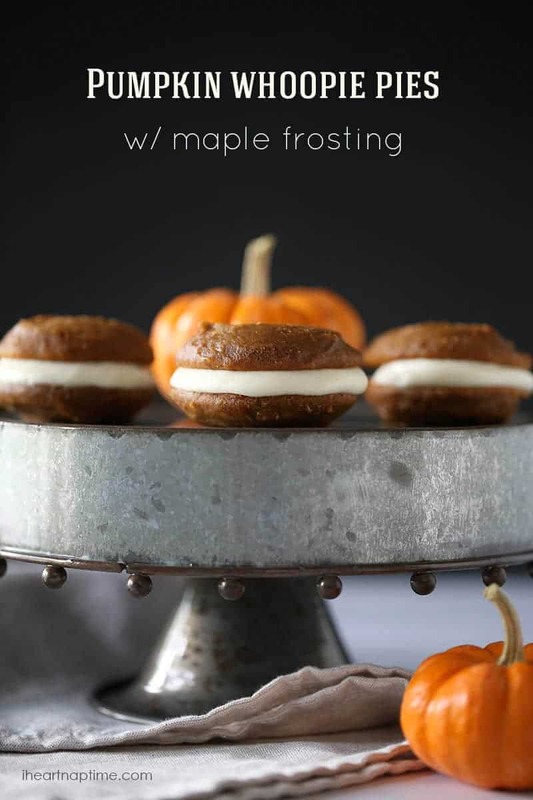 Pumpkin Whoopie Pies, yes please! Try these from I heart naptime. Caramel Stuffed Pumpkin cookies from Cinnamon Spice and Everything Nice, are definitely the best of both worlds! I mean, I don’t think you can go wrong with Caramel and Pumpkin anything! 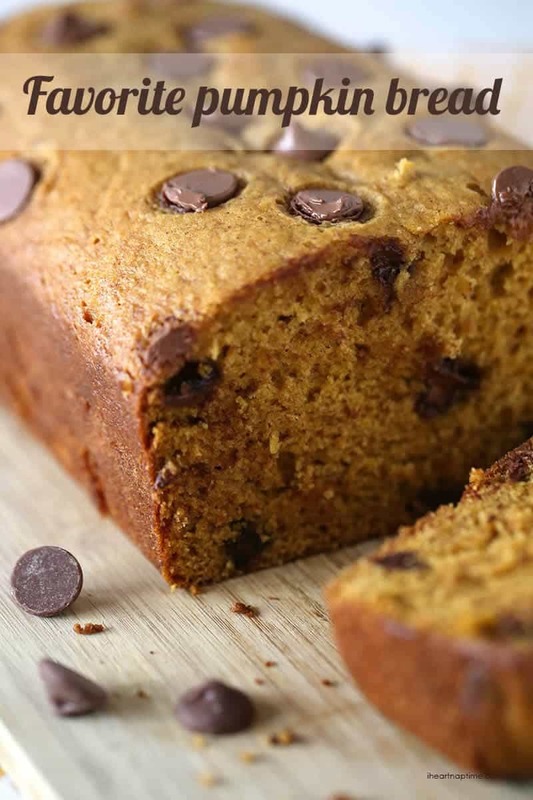 Jamielyn, from I heart naptime, does it again with her amazing “favorite pumpkin bread“. You’ve gotta try this. 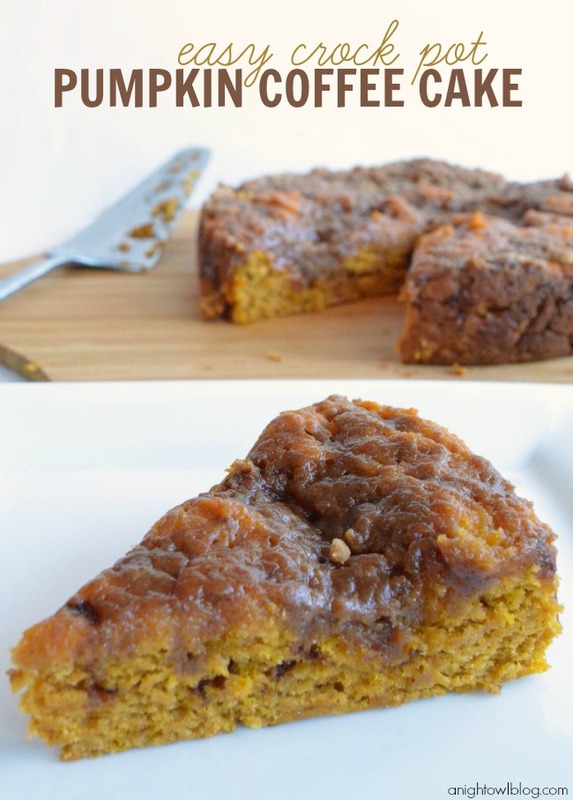 Crock Pot Pumpkin Coffee Cake from A Night Owl looks so amazing. I don’t even drink coffee but I love the smell of it and now I want my house to smell like Pumpkin Coffee Cake! YUM!!!! 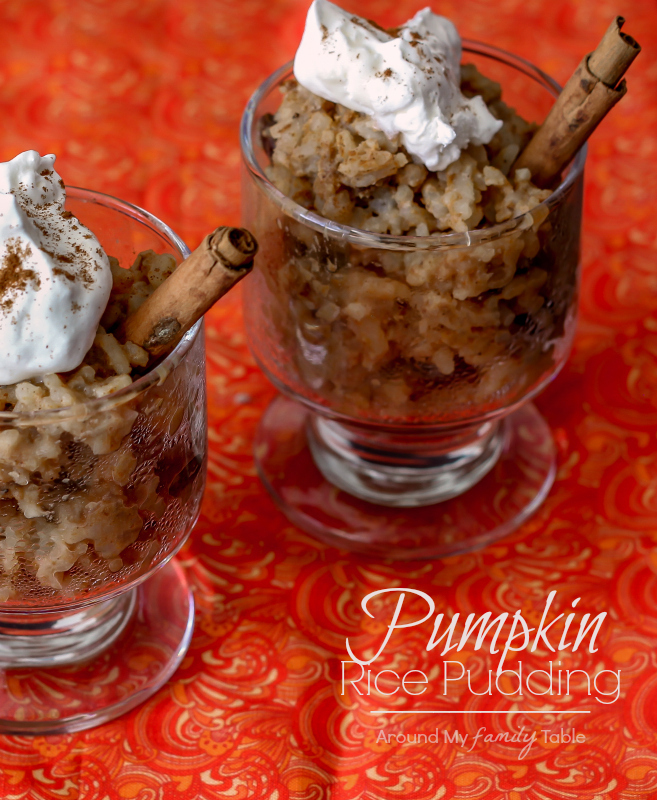 Confession: I’ve never had Rice Pudding before but this Pumpkin Rice Pudding makes me want to try some right this minute! 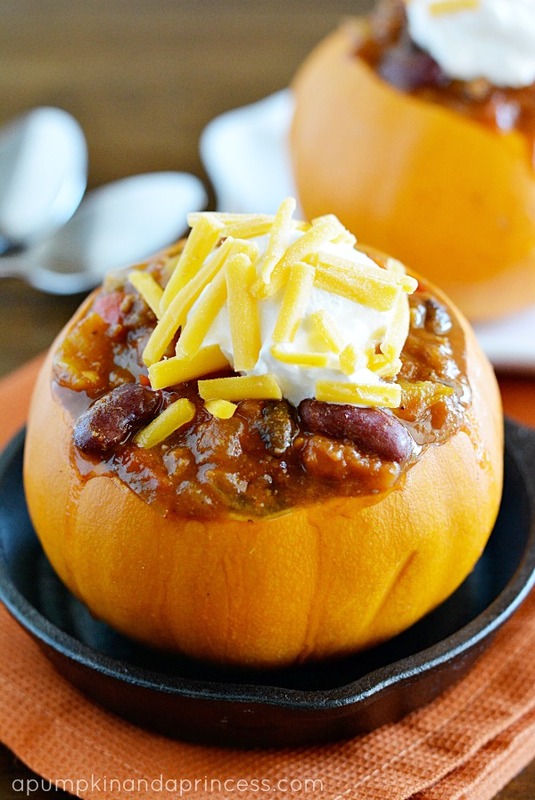 Spicy Slow Cooker Pumpkin Chili is a great way to switch up the pumpkin desserts and treats for something savory. This Chili looks amazing! Let’s start the day out right with some Pumpkin Cinnamon Roll Pancakes for breakfast from Number 2 pencil. Crazy for Crust made this incredible Pumpkin Spice Spiderweb Cooke Pizza. Not only does it look delicious but how stinkin’ cute is that!? 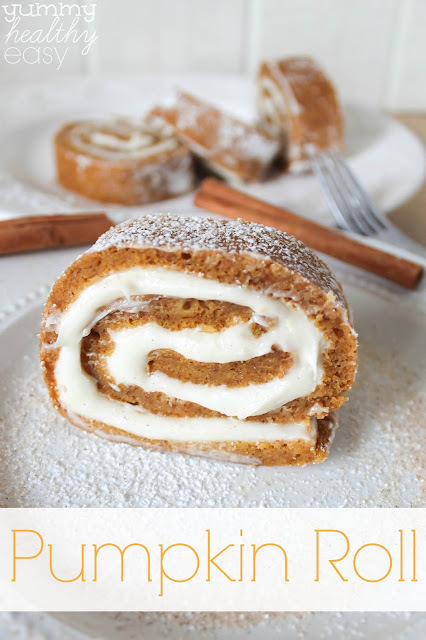 While browsing Crazy for Crust, I found yet another amazing pumpkin recipe. This Spiced Pumpkin Apple Dump Cake is a combination of 2 of my favorite dessert ingredients. I love anything apple and pumpkin. Great set of recipes! 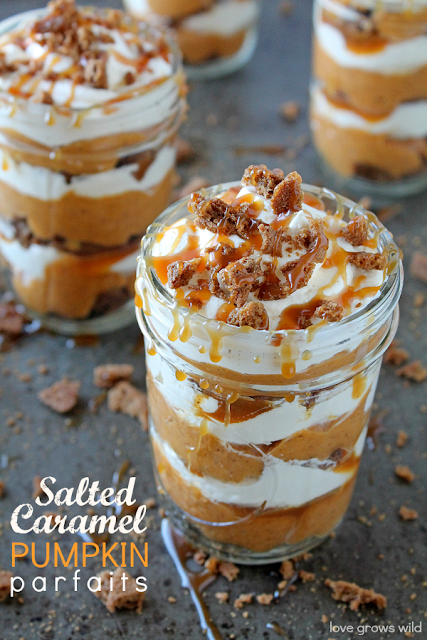 I love the pumpkin salted caramel parfait. I can’t wait to try it. When i was young, i used to despise any dish consisting of pumpkin. But, I really am starting to get obsessed with pumpkin pies. Hi Mallory & Savannah, what a pumpkin pickin’ fun party! Thanks for sharing so many goodies and letting me join in on the fun.